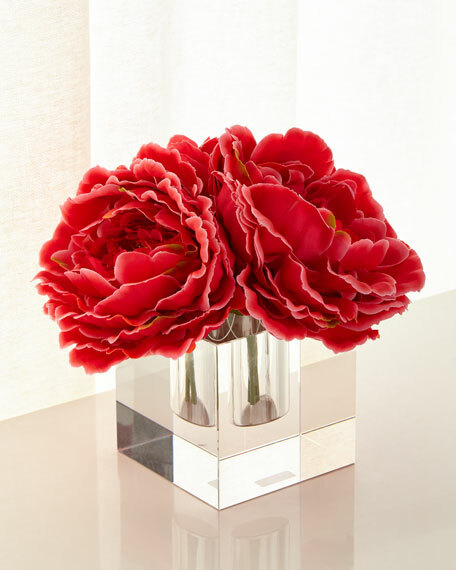 Large rose colored peonies are clustered and tied as a nosegay and rest in the reservoir in this solid glass crystal cube. The flowers are not permanently secured in the cube, they can be changed out with your own floral arrangement. Handcrafted faux floral arrangement in a crystal glass cube.